Are you looking for the convenience of an all-in-one diaper but want it to dry quick? Really want an AIO with a natural inner fabric? You can have both with the genius design of Grasshopper diapers. We were sent two Grasshopper AIO diapers for review, a Clover and Marshmallow. Materials: The Quick Dry Bamboo AIO diapers are made of 70% bamboo and 30% organic cotton for the inner layer and snap in soaker. The outer waterproof layer is polyester and PUL. Sizing: Grasshopper diapers come in three sizes, small (7.5 - 15 lbs), medium (12 - 27 lbs), and large (22 - 40 lbs). We received the small diapers, considering my first baby was under 7 lbs I think it will be a great fit. If you have larger babies you may be able to skip the small altogether and go straight to a medium. Many babies will be potty trained before they reach the large (like my 26 lb toddler). Each size is quite adjustable, I love the side snaps. I would love to see Lisa create a one-size diaper too! About: Grasshopper diapers are handmade by Lisa and a team of local seamstress moms who reside in the Toronto, Canada area. A business started by yet another mom and skilled seamstress that wasn't satisfied with the diapers available for her baby! She really wanted to make a diaper that would be easy to use, natural, have a fabulous fit, and be environmentally friendly. MANDATORY ENTRY: [Follow us with GFC and] Tell us what is what color and size Grasshopper Quick Dry Bamboo AIO you would prefer. For Grasshopper: Like the Grasshopper page | What's your favorite diaper feature? All Newborn Fluff Event Giveaways end at 11:59 PM on Saturday, August 27th, 2011. Winners will be selected using Random.org and contacted via email. Open to US AND CANADA residents 18+. My fav feature of the diaper is that it's natural. I love that the diapers inner is all natural! I like that the snaps are hidden. Found the giveaway on my blogger dashboard. Following GFC and wold love to have this one, in any color. My favorite feature is the roll-up snap and the double snap to adjust leg and waist separately. My favorite thing is they are made of natural products! I like the whitecap in large. I would love to have a Medium Marshmallow diaper! 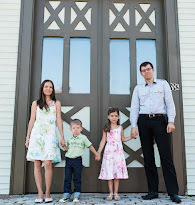 I'm a GFC follower. I like the Roll-up Snap feature!! I'd get the goldfish color in size medium. my favorit feature is the bamboo material. i love bamboo. it's super absorbent. I found this giveaway while checking blogs i follow on google reader. I would love the clover color in medium! My favorite feature is "quick dry".. I hate when I go to take diaper out of the dryer and there are a couple still damp. I love the flamingo color! I am a big fan of a diaper that dries quickly! That is one of my favorite features! GFC follower as Yesenia Morales. I would like the Rowboat in large. I subscribe to the Grasshopper newsletter. I found this giveaway at change-diapers.com. If I won, I would choose the Whitecap color in a Large. I follow via GFC. 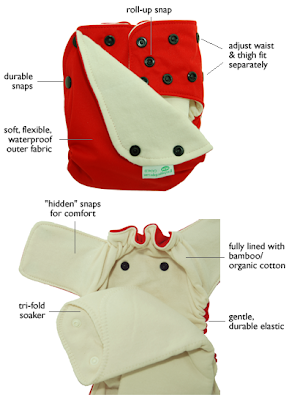 My favorite diaper feature is that it is natural and has the bamboo/ organic cotton inner layer. I found this giveaway in your email newsletter that I subscribe to. I'd get a small in flamingo.